Nishi Enterprise is a leading manufacturer of brake drum couplings and gear couplings that have diameters ranging between 100 mm and 600 mm. We only make use of premium quality materials that can provide with optimum strength, quality and durability for each and every piece of coupling and spare parts. 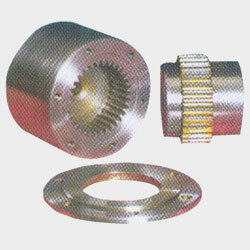 The unique thing about our gear couplings and brake drums is that they all of them are specially designed for versatile performance. This gives them strong dimensional accuracy that is a major requirement for different kinds of operations that require high levels of precision. As a company that has been manufacturing top end brake drum couplings and spares for a long time, we understand the value of making products with highly precise measurements so that they can deliver efficient services at all times. We also make use of the best raw materials so that the end products can work efficiently for a long time. Our long-term industry experience makes us keenly aware of the challenges that many users face with these products. Therefore, we never leave any stone unturned to create products that can deliver a smooth user experience for all our industrial clients. 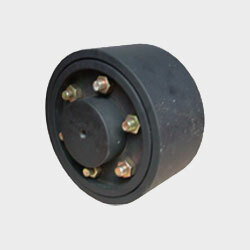 These brake drum couplings are used for connecting the motor and the gearbox shaft or the gearbox and the machine shaft. 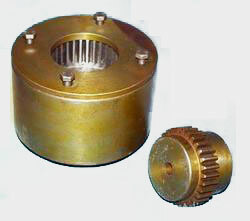 The brake is properly fitted on a brake drum. 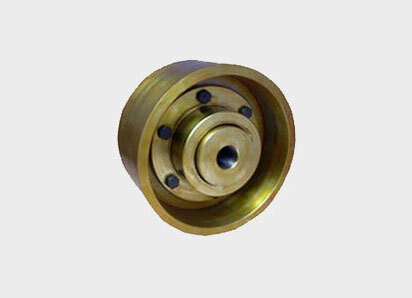 We at Nishi Enterprise also excel in designing and developing customized brake drum couplings & spares for the specific project that you have in mind. Simply provide us with the specifications and drawings or the samples and then we can take it from there. Our custom products can also help you to make the most of your available resources. Our brakes are known for their versatility and flexibility and such features make our products highly desirable in both local and international markets. So, if you are a company operating in India and looking for the best grade brake drum couplings and spares, consult us for the finest quality products that are available at affordable prices.